Trigg Laboratories E-Commerce Evolution - Simplicity Consulting Inc. The evolution of Trigg Laboratory’s e-commerce solution BuyWet.com has been enormous. Trigg Laboratory’s e-commerce solution began as an Online Order form in 2011. We began working with Trigg after they’d migrated to a Magento shopping cart solution. Our initial contact with Trigg was when they asked us to integrate their front-end e-commerce solution with their back-end accounting software. As time passed our relationship with Trigg grew as we supplied on-going tech support for their e-commerce solution BuyWet.com and their WordPress product information site StaysWetLonger.com. In 2016 we gave Trigg Laboratory’s Magento solution a complete makeover. Working closely with their Marketing department we created a custom Magento theme showcasing Trigg Laboratories as the major lubricant company it had become. During the make-over we added a new mobile friendly payment gateway and a 1-Touch Add To Cart button to their Product Overview page. These two changes reduced required user input to create new orders by 54%! We streamlined the purchasing process from a minimum of 73 required user inputs, such as screen touches, key strokes, or mouse clicks, to create a new order down to just 33 user inputs! 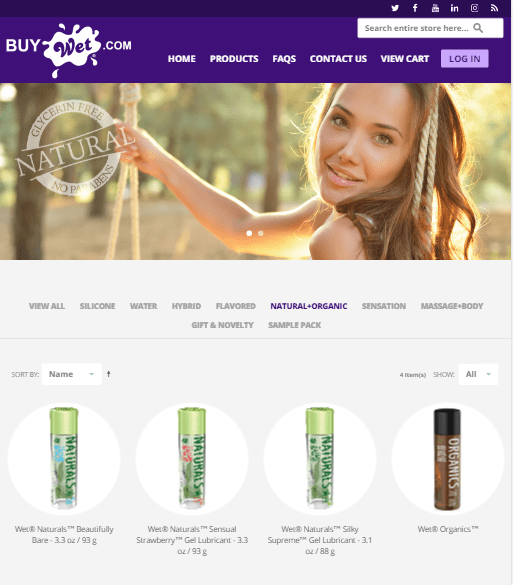 The new ease and convenience to place orders may have contributed to BuyWet.com‘s 10% Bounce Rate reduction and non-Order-Success Exit Page reduction at the Checkout Cart.